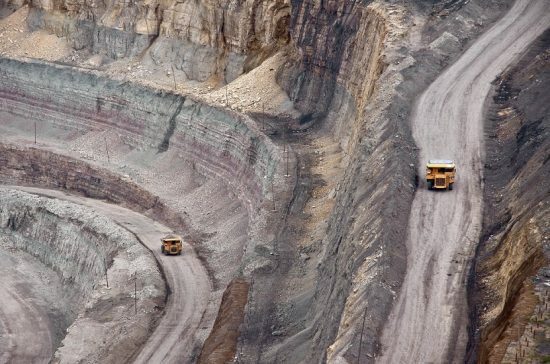 Canada’s Lundin Mining has announced its purchase of a Brazilian copper-gold mine from Yamana Gold for more than US$1 billion, in a move that will significantly bolster its base and precious metals production. The Chapada mine, located about 270 km Northwest of Brazil’s capital Brasilia, began operating in 2007 and is expected to produce about 54,500 tonnes of copper and 100,000 ounces of gold in 2019. In a statement announcing the deal, Lundin said that the addition of the mine would increase its previous copper production outlook for 2019 by 26%. “The acquisition of Chapada complements Lundin Mining’s existing portfolio of high-quality mines and highlights our focus on disciplined capital allocation to create long-term shareholder value,” said Lundin’s president and CEO Marie Inkster. Inkster said that Lundin had been looking to acquire a copper mine since October shortly after missing out on an opportunity to buy a Serbian copper site. Meanwhile, Yamana’s Chairman and CEO Peter Marrone told the Financial Post that the proceeds of the sale would go towards cleaning up the company’s balance sheet, which currently shows a net debt of $1.6 billion. “Now we’re ready to move forward, and all the discussions about getting ahead of the leverage and debt at Yamana should be done,” said Marrone.